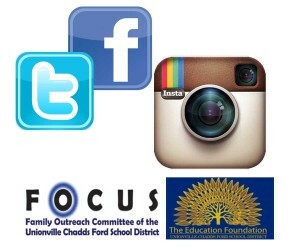 EAST MARLBOROUGH — FOCUS and the Unionville-Chadds Ford Education Foundation will present a special program on social media and how children interact with it on Wed. Nov. 20 from 7 – 9 p.m. in the Unionville High School Auditorium. Speakers include Chester County Det. Joe Walton and Deputy District Attorney Renee Merion. Det. Walton supports and conducts investigations involving social media as well as provides community education programs. He is a member of the Internet Crimes Against Children (ICAC) Task Force. Detective Walton has been a member of law enforcement for 23 years. Deputy District Attorney Renee Merion is head of the Chester County Juvenile Unit. In addition, there will be a panel discussion. The panel members include John Sanville, Unionville-Chadds Ford School District Superintendent, John Walsh, Charles F. Patton Middle School Technology Teacher/Specialist, Carolyn Mohr, Technology Journalist, www.wonderoftech.com, Jennifer Fulton, UCFSD Social Worker, Det. Joe Walton & Deputy DA Renee Merion from Chester County. There will be a question and answer session following.